Hurricane Michael was barely a hurricane Tuesday morning, with winds of 90 mph. A little over a day later, it had transformed into a monster. 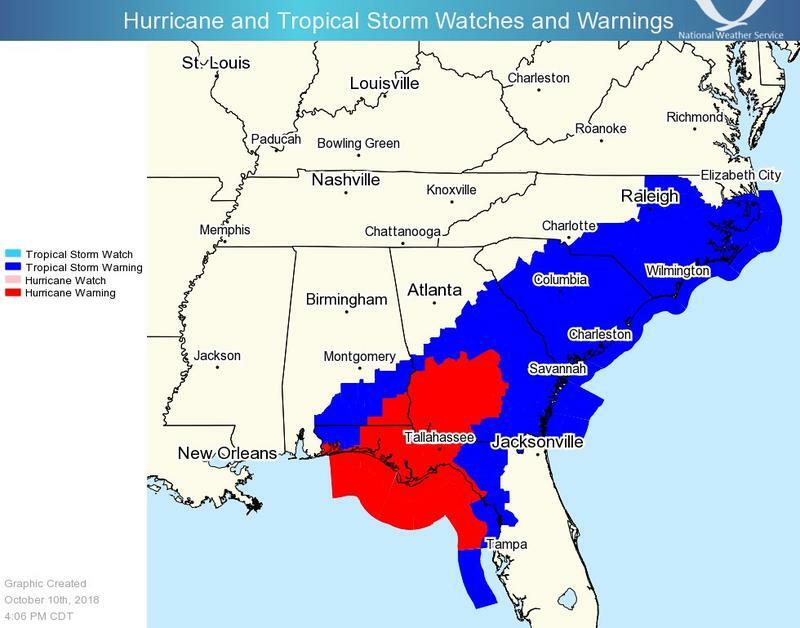 When it made landfall Wednesday afternoon, it was blowing at 155 mph. That's a 72 percent increase in wind speed in less than 33 hours. 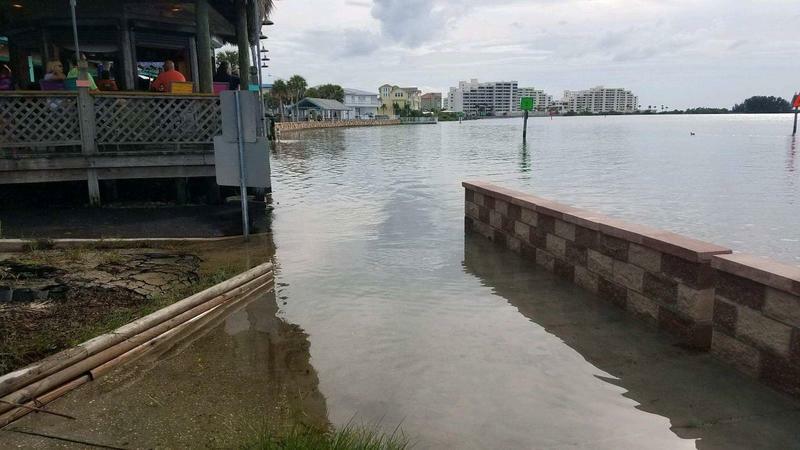 "Michael saw our worst fears realized, of rapid intensification just before landfall on a part of a coastline that has never experienced a Category 4 hurricane," University of Miami hurricane researcher Brian McNoldy said Wednesday morning. Hurricanes have something called a potential intensity. 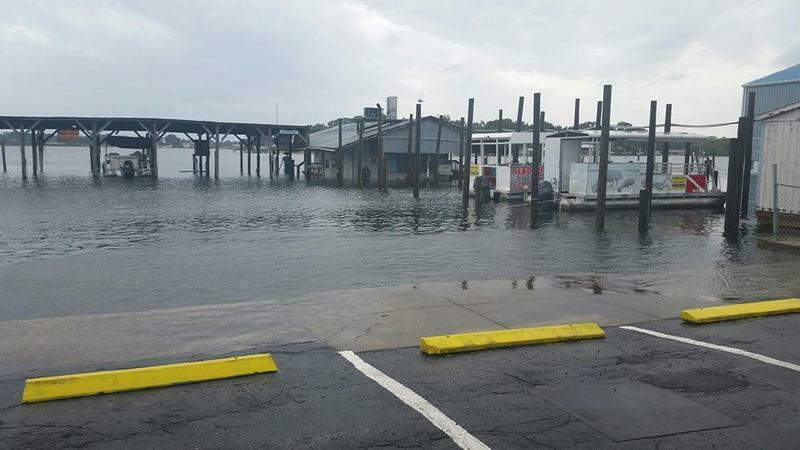 That's how strong a storm can get if all other factors are aligned, said National Oceanic and Atmospheric Administration climate and hurricane expert Jim Kossin said. Michael had nothing holding it back. "Everything was there for it to reach its potential and it did," Kossin said. As Michael's eye started coming ashore, it boasted the third lowest central pressure of any storm to hit the United States, behind only a 1935 Labor Day storm and 1969's Camille. 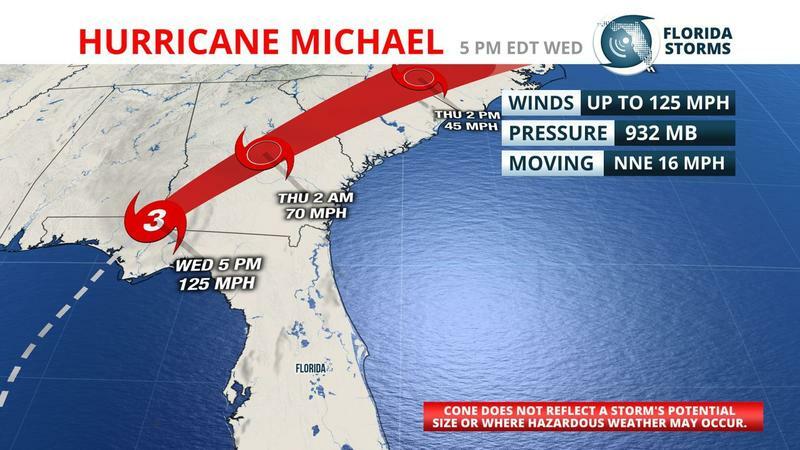 Meteorologists first got a sense something big could be happening by watching how Michael's eye changed shape. Early Tuesday, it was oddly shaped and ragged. Later in the morning it started to get better organized, and by Tuesday night real-time satellite imagery was showing the eye getting stronger and scarier by the minute. Another factor: Its pressure, the measurement meteorologists use to gauge a hurricane's strength. The lower the pressure, the stronger the storm. 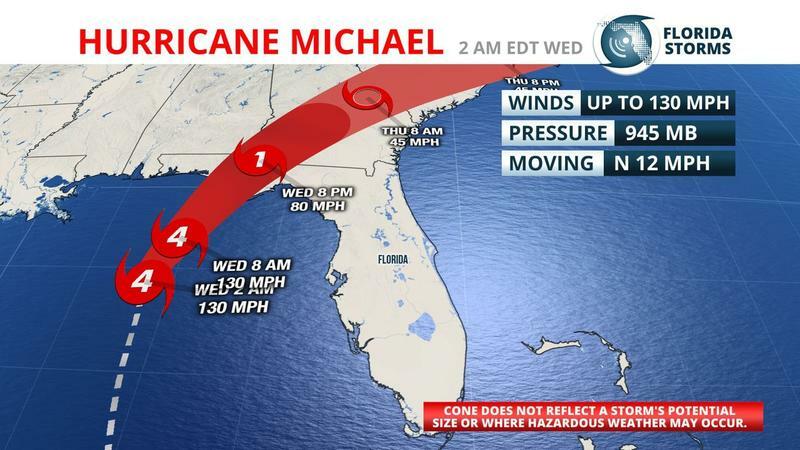 Before landfall, Michael's pressure fell so low it looked like the winds were sure to pick up fast, said Ryan Maue, a meteorologist for weathermodels.com. And none of the factors that hold a storm back were present, especially something called "wind shear." Wind shear is when there's a mismatch either in speed or direction between winds near the surface and those five to six miles (8 to 10 kilometers) up. That mismatch "pushes the storm over" or decapitates it, Kossin said. When the wind shear near Michael eased, the storm took off, he said. "It's kind of like someone was holding on to it when it was trying to run and they let it go," Kossin said. Another huge factor was the water temperature. Warm water is the energy that fuels hurricanes, and the Gulf water is 4 to 5 degrees warmer than normal. Water temperatures in the Gulf of Mexico vary along with weather, but some scientists said the warm waters are signs of human-caused climate change. "Have humans contributed to how dangerous Michael is?" Kossin said. "Now we can look at how warm the waters are and that certainly has contributed to how intense Michael is and its intensification." The warm waters, Kossin said, are a "human fingerprint" of climate change. Kossin and others have a study out this month in the Journal of Climate with computer simulations showing that human-caused global warming will increase rapid intensification of tropical weather across the globe in the future. Other studies have shown rapid intensification has already increased over past decades. One study this year in Geophysical Research Letters found that since 1986, the rate of intensification of storms like Michael has increased by about 13 mph. Fast and furious Hurricane Michael barreled toward the Florida Panhandle late Tuesday night with 125 mph winds and a potentially catastrophic storm surge of 13 feet, giving tens of thousands of people precious little time to board up and get out. 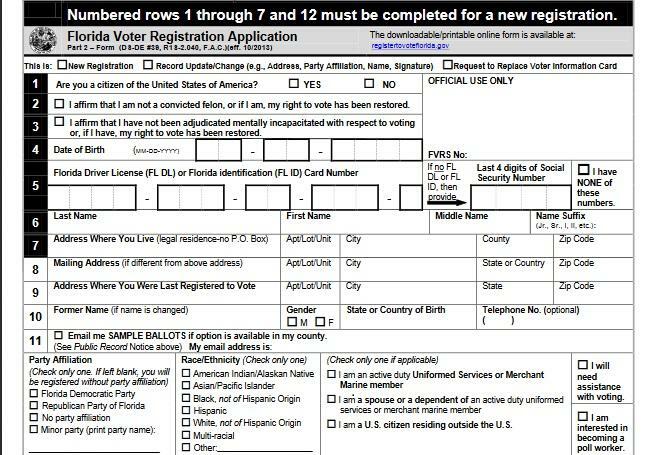 The deadline to vote in November's general election was supposed to be Tuesday, but was pushed back a day in some Florida counties due to the approach of Hurricane Michael. Now, the state Democratic Party is suing to move that deadline back at least a week to Oct. 16.